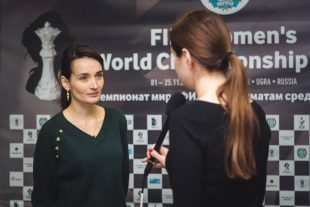 Interview with Kateryna Lagno (Russia), who drew the regular part of her match with Mariya Muzychuk (Ukraine). 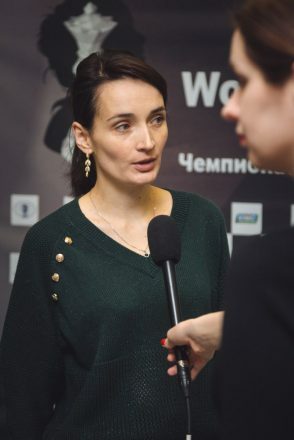 – Kateryna, could you please describe the events of the first two games. 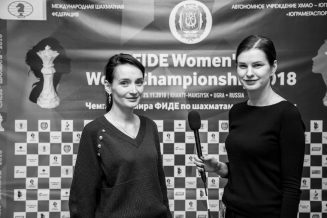 – We have just finished the second game, which turned out to be very long. I guess I had an advantage; not sure how large it was, I will check it at home. Anyway, I was unable to convert it. 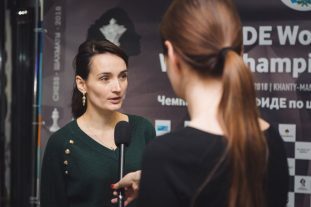 The first game was very quiet – White did not manage to create serious problems and I equalized the game. Then I offered a draw, and she accepted it. – Did you manage to surprise your opponent in the opening today? – Probably, I did. Judging by the time spent, she was a bit surprised. However, she successfully solved her problems. 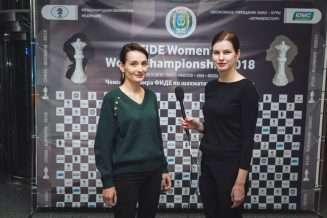 – What is your mood coming to tie-breaks? – Business as usual. I have some experience in tie-breaks. Let’s fight and see.